"Today the Chelsea Piers are shabby, pathetic reminders of a glorious past. No ships call there. Decay has set in and is well advanced. Walls and ceilings are collapsing, windows are shattered, and their vast empty spaces echo to the rattling and banging of loose sheet metal, and the creaking timbers, as the winds and tides of the Hudson exert their changing pressures. The State Department of Transportation has marked these piers for demolition. The ever-present threat of fire may turn into a quicker, more merciful, and more spectacular solution." These words were written in the mid-1980s, as preparations were being made to raze the Chelsea Piers so that a new highway could be built along the Hudson. But the highway project failed, the Department of Transportation held an auction, and finally, in 1992, under the guidance of Roland W. Betts, Tom A. Bernstein and David A. Tewksbury, the historic waterfront property began its climb back to fame and fortune. "The Chelsea Piers project represents a remarkably well-wrought balance of public and private priorities, and in an age in which the purely public development of the waterfront in the form of open parkland has become an all but unobtainable goal, this project is as enlightened as we are likely to see. It is a good work of design, full of a recognition of the potential of this unusual 30-acre site. The place has a presence, a presence that makes it like no other place in New York." In a way, the Chelsea Piers have always been like no other place in New York. In 1910, the opening of the Chelsea Piers was marked with a ribbon cutting and speeches, including lots of back-patting after 30 long years of talk and 8 years of construction. In 1907, even before the piers were completed, the first of the new luxury liners, the Lusitania and Mauretania, docked there. The man responsible for the completion of the piers, Mayor George B. McClellan, wasn't even in office when the liner Oceanic broke through a colorful wide ribbon to signal the official opening of the Chelsea Piers. The next day The New York Times called them "the most remarkable urban design achievement of their day." For the next 50 years, the Chelsea Piers served the needs of the New York port: first, as the city's premier passenger ship terminal; then as an embarkation point for soldiers departing for the battlefields of World Wars I and II; and finally, during the late 1950s and early 1960s, as a cargo terminal. 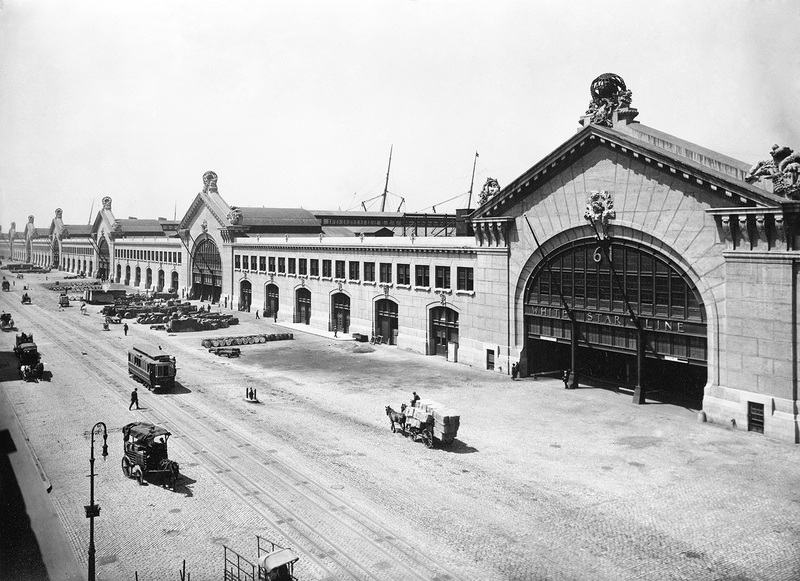 Designed by the architectural firm of Warren and Wetmore, which was also designing Grand Central Terminal at the same time, the Chelsea Piers replaced a hodgepodge of run-down waterfront structures with a magnificent row of grand buildings embellished with pink granite facades. After that, the Chelsea Piers, like much of Manhattan's waterfront, became neglected maritime relics, made obsolete by the jet plane that whisked passengers across the Atlantic and the large container ships that required dock facilities and truck linkages that Manhattan could never provide. 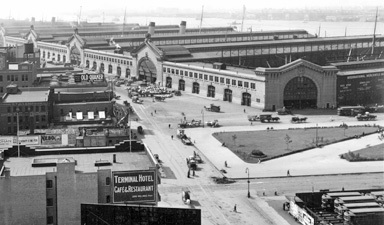 The redevelopment of the four surviving Chelsea Piers marks a major step in the rebirth of the Manhattan waterfront for public use and recreation, and returns these piers to the prominence they enjoyed during the early 20th Century when they were the center of international ocean liner travel. In the early days, as docks for the famed White Star and Cunard lines, the Chelsea Piers welcomed most of the world's great liners. Sometimes, in the afternoons, one could see as many as twenty stacks, as five liners prepared to sail on the evening tide. 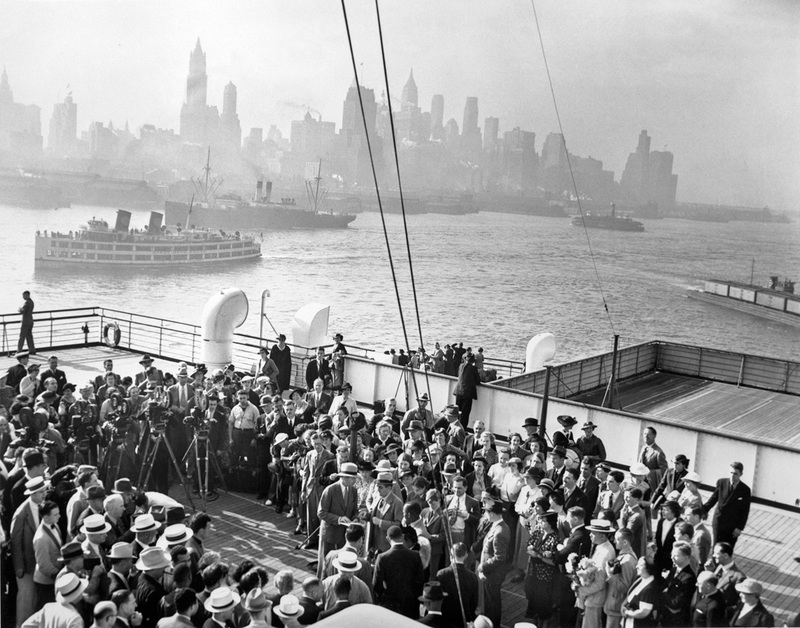 At the same time that the rich and famous were arriving at the Chelsea Piers, so were immigrants, many of whom traveled in steerage class and suffered extreme hardships, including incredible overcrowding and disease. 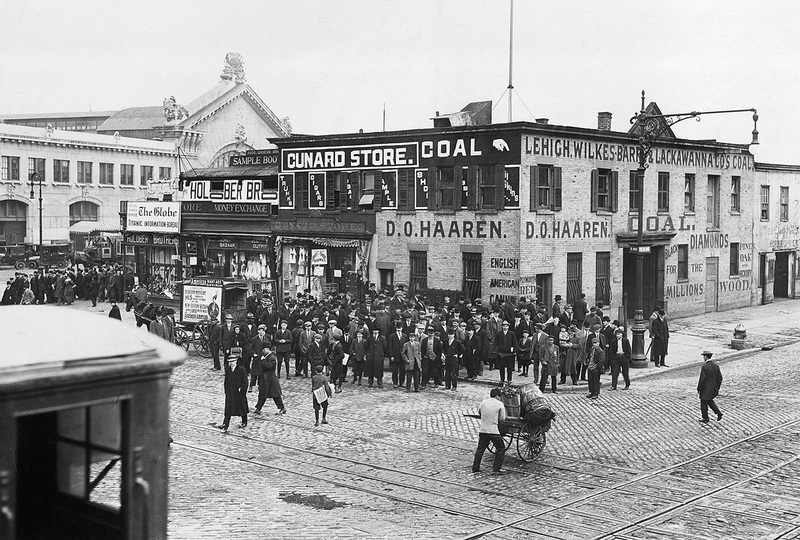 By 1910, thousands of immigrants were arriving daily at the Hudson River shoreline. Most ships came first to the Chelsea Piers, where the travelers were transferred to ferries for the final leg of their journey to Ellis Island and freedom. One of the most historic events in the history of the United States is connected to the history of Chelsea Piers. The Titanic was scheduled to arrive at the Chelsea Piers on April 16, 1912, at the conclusion of her maiden voyage. Fate intervened, and the "unsinkable" ship struck an iceberg and sank on April 14, 1912. Of the 2,200 passengers aboard, 675 were rescued by the Cunard liner Carpathia, which arrived at the Chelsea Piers on April 20th. 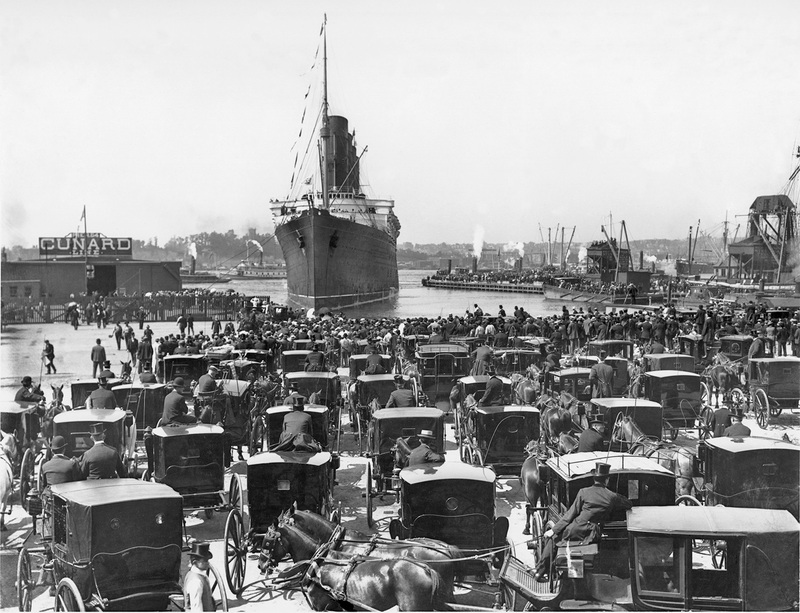 In May 1915, the luxury liner Lusitania departed from the Chelsea Piers on her regular run to England. 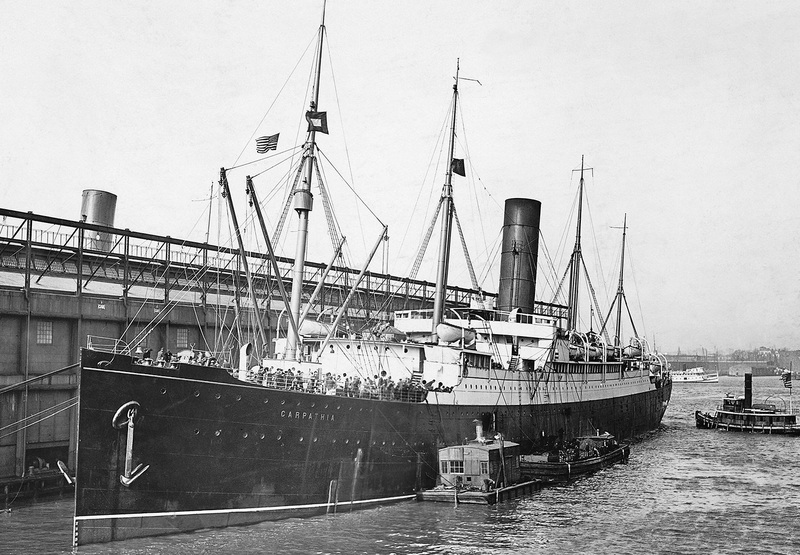 Off the coast of Ireland, she was torpedoed by a German U-boat, killing 1,198 people, including 124 Americans. This event mobilized public opinion in support of America's entry into World War I. For the duration of the war, the Chelsea Piers, like the docks in great harbors everywhere, were busy participants in the war effort. 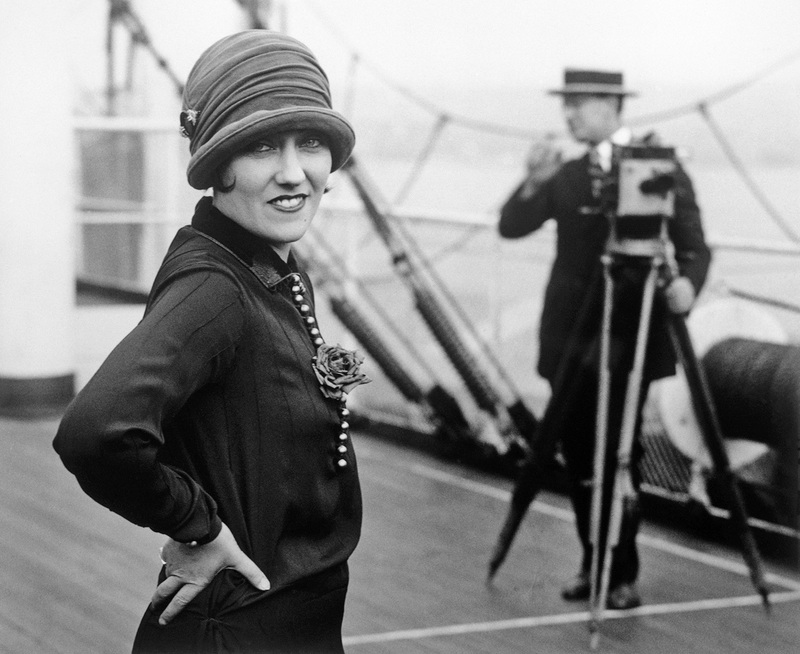 As the twenties unfolded, a new prosperity came to the land and celebrities flocked to the Chelsea Piers to be photographed and interviewed, leaving for, or returning from, Europe in grand style. Then came October 29, 1929, and the fateful stock market crash. Cunard's Barengaria was the first ship to dock at Chelsea Piers a few days afterward to throngs of reporters who chronicled the fact that all but a handful of passengers debarked bankrupt. By 1933, the economic tide for the Chelsea-based fleet had changed. 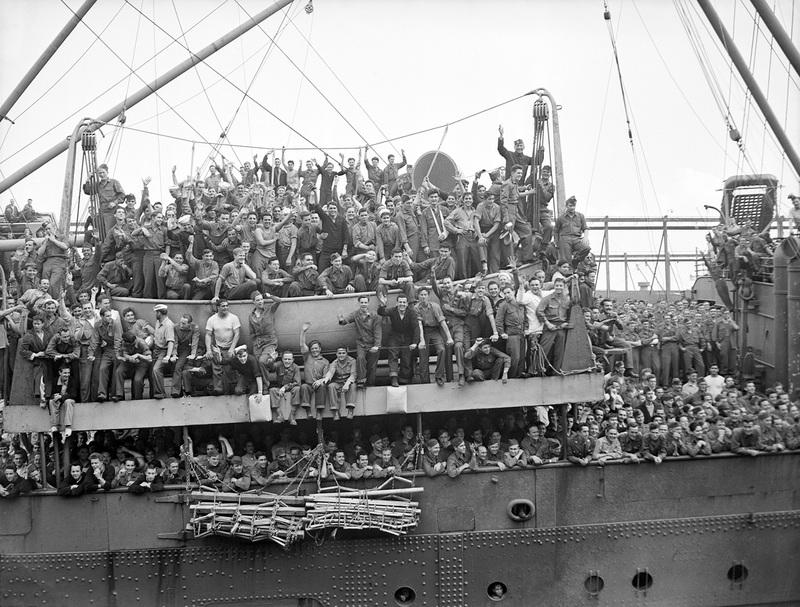 The Depression had wreaked havoc upon transatlantic travel, and the Atlantic trade dropped from one million voyagers in 1929 to fewer than half by 1935. The thirties, meanwhile, brought another development to the Chelsea Piers. Huge new vessels like the 1,000-foot Normandie and Queen Mary came steaming into port, sweeping the Chelsea Piers into the past. New and much longer piers were needed and then constructed between West 44th and West 52nd Streets, forming what we still call "Luxury Liner Row." The high point of the decade was the departure in July 1936 of the United States Olympic team from the Chelsea Piers to the site of the Games in Berlin, Germany. At those Games, Jesse Owens became the hero of the American people by winning four gold medals in track. His return to the Chelsea Piers was marked by great excitement and huge crowds. The Chelsea Piers had a brief resurgence as a major embarkation point for troop carriers that took American servicemen to the European theater in World War II, but afterwards, never regained their former importance for passenger shipping. Then in 1958, nearly all transatlantic passenger ship travel came to a halt, when daily commercial jet service to Europe began. After that, the piers were used almost exclusively for cargo handling until 1967, when the last big tenants, the Grace and United States lines, relocated to New Jersey. Chelsea Piers' shipping days were over. ...but the Chelsea Piers just sat there rusting in the harbor air until destiny called them back. In May 1992, after six months of comprehensive research and the preparation of a detailed proposal, a newly-formed company, Chelsea Piers Management, Inc., submitted a bid and proposal, as part of a public auction process, to the New York State Department of Transportation to obtain rights to develop and operate the Chelsea Piers. Shortly thereafter, Chelsea Piers Management was awarded the rights to lease the Chelsea Piers and to develop and operate a sports and entertainment facility on the premises. 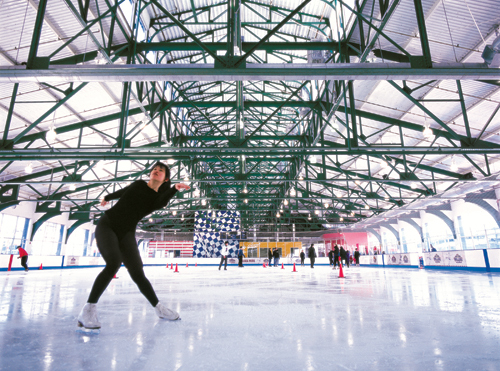 After Chelsea Piers Management was awarded the lease, an experienced development and construction team was assembled, and a 24-month, intensive design and program planning process began. Some 20 different federal, state and city agencies reviewed and approved the project. In May 1994, the final building permits were granted. 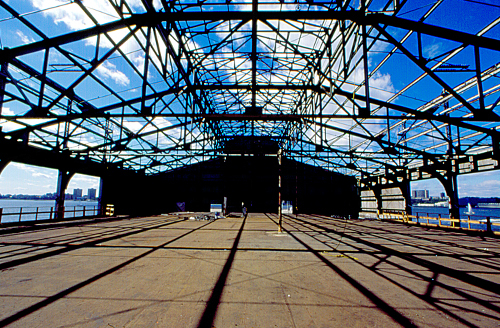 Start of construction was celebrated at Groundbreaking Ceremonies held at Chelsea Piers on July 12, 1994, attended by New York Governor Mario M. Cuomo, New York City Mayor Rudolph W. Giuliani, Manhattan Borough President Ruth W. Messinger, other political, sports and entertainment industry dignitaries, and over 1,200 invited guests. Beginning in August 1995, Chelsea Piers Sports and Entertainment Complex opened in stages. Situated on Piers 59 through 62, and in the connecting head house, the Complex features: the Golf Club, Chelsea Piers Fitness, Sky Rink, the Field House, MarineMax Maritime Center, Bowlmor, the Pier Sixty, Lighthouse and Current event centers and much more. And sometimes on clear, bright evenings, you can still hear the laughter of bygone days floating gently on the breeze as it passes through the reborn Chelsea Piers.